Please note that from the last weekend in October to 01 March, certain restrictions apply to public areas for dogs. There is however an Off leash exercise area 24/7 all year around on northern end of the beach.There are bush tracks you can walk to from the property and another beach accessible on foot only, with no dog restrictions. The Wentworth Valley a short drive away, is dog friendly,with well maintained tracks, pristine native bush and a beautiful waterfall. The Whangamata Mountain bike park is a 10mn drive away, also great for walking your best friend off leash, especially if it is too hot or raining. 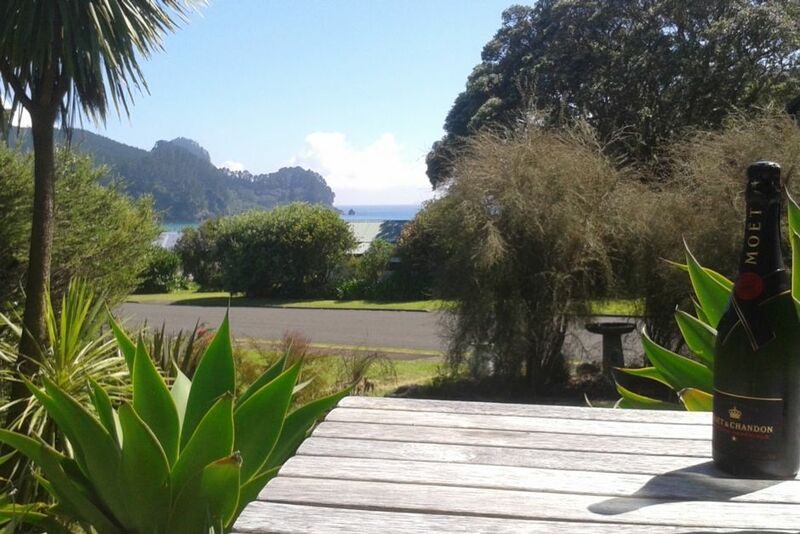 Less than a minute's walk to Onemana beach, 6kms north of Whangamata. Less than 2 hours' drive from Auckland. Dogs allowed indoors but please use outside shower for rinsing off your pet. Put your feet up,relax and enjoy the local sights and sounds of the seaside, or discover the numerous coastal walks we have locally. Surf beach manned by surf lifesavers during peak summer times. Free use of public tennis courts on the reserve. Tennis rackets supplied. Petanque court on reserve for public use. Remember to clean unit before leaving ; please leave it as you have found it, so that the next guests may also enjoy their stay. This is a SMOKEFREE property and we thank you for respecting this. Blanket, pillows, kitchen tea towels and bath mat provided. Bed linen and towels provided on request at a cost of $40 per stay. Ours was a lovely 4 night stay. Ours was a lovely 4 night stay. The accommodation was very modern, comfortable and well kitted out. The location was perfect with just a few steps to the beach or walking tracks. I would recommend this property and location without reservation. Beautifull beach and lovely walks right on your doorstep. Property is in a great location. Property is in a great location. Nice and close to the beach. Amazing location, across the road from the beach. Amazing location, across the road from the beach. Nicely decorated place. A shame only one plug at a time could be used for cooking facilities.